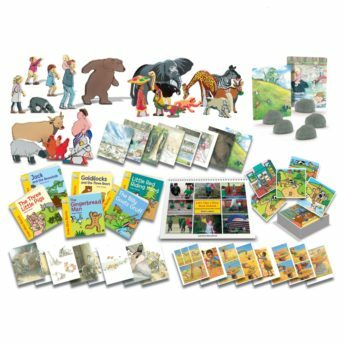 This wooden character set is based on Helen Oxenbury’s artwork from We’re Going on a Bear Hunt by Michael Rosen. 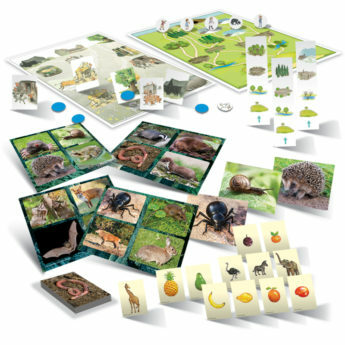 The figures provide a playful way for children to engage with the story and practise the language from the book, while exploring new versions of their own. 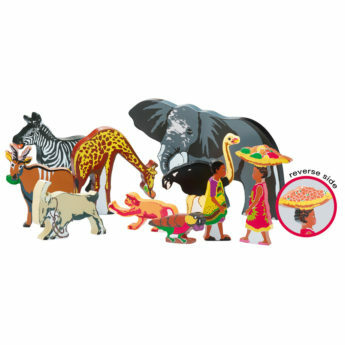 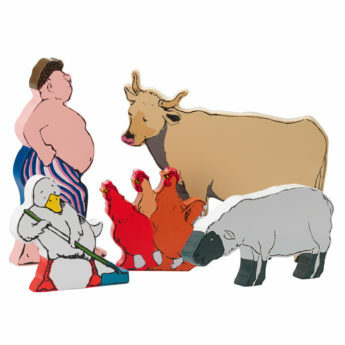 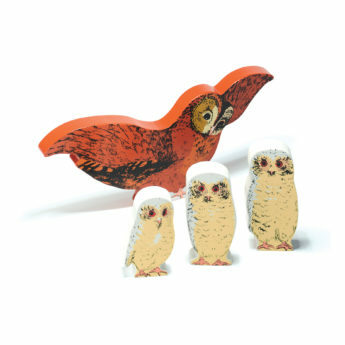 These wooden figures are ideal for small world play activities. 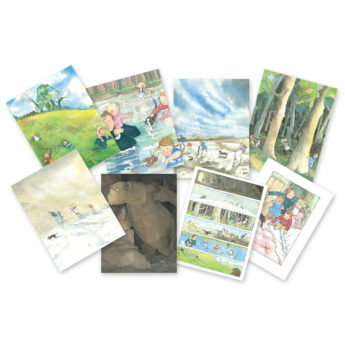 Why not recreate the different environments featured in the story – grassland, woodland, mud, water, and snow scenes. 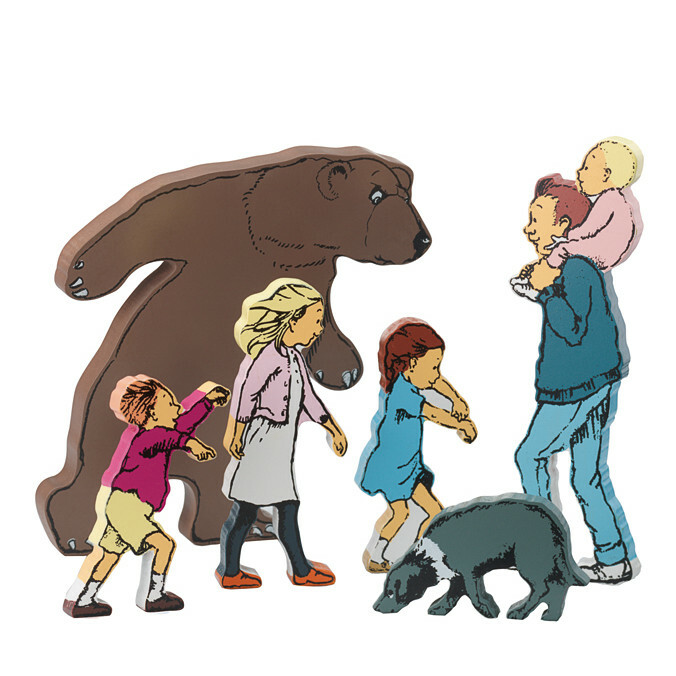 Each set includes the following: Bear (150 x 150mm), man & baby (50 x 160mm), older girl (45 x 110mm), younger girl (45 x 92mm), boy (60 x 80mm), and Dog (75 x 42m).